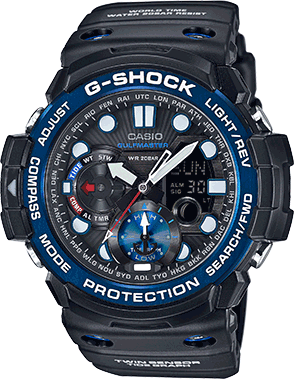 The new Gulfmaster ocean concept G-Shock that predicts weather changes. 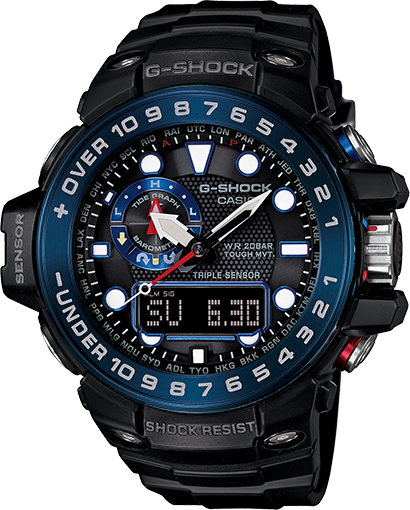 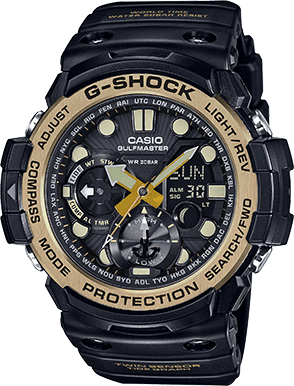 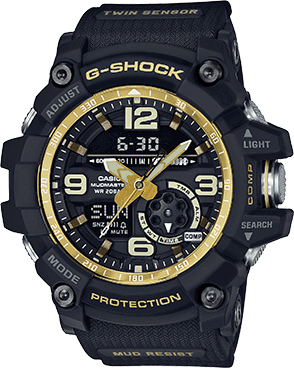 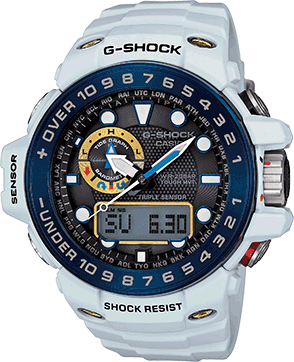 For the toughest men who challenge the deepest seas, Casio presents the ultimate maritime G-Shock with Smart Access technology.Equipped with Triple Sensors for MeasuringDirection, Atmospheric Pressure/Altitude, and TemperatureHands Serve to Indicate Atmospheric Pressure and Compass Bearing. 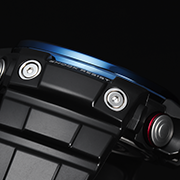 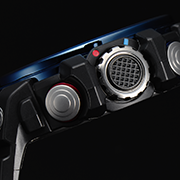 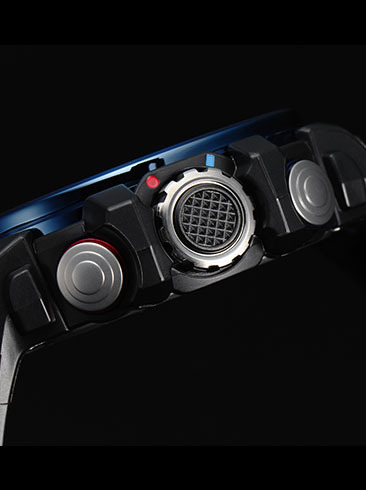 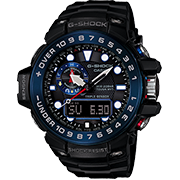 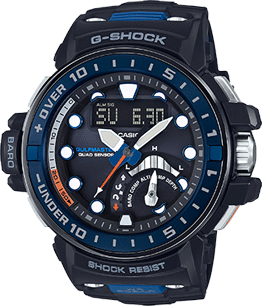 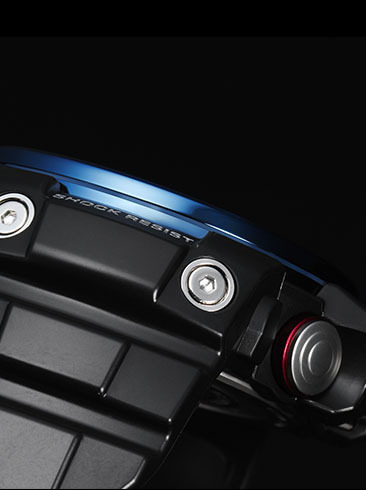 The GWN1000B-1B Gulfmaster is a black watch with a blue face and ion plated stainless steel bezel.